Horseradish peroxidase conjugated Goat anti Mouse IgG Antibody (STAR77) recognizes mouse IgG.  Cross-reactivity with rat immunoglobulins has been reduced by solid phase adsorption. Yang, L.P. et al. (2009) Baicalein reduces inflammatory process in a rodent model of diabetic retinopathy. Invest Ophthalmol Vis Sci. 50: 2319-27. Bhrany, A.D. et al. (2008) Crosslinking of an oesophagus acellular matrix tissue scaffold. J Tissue Eng Regen Med. 2: 365-72. Sourial-Bassillious, N. et al. (2006) Effect of TNF-alpha on CD3-zeta and MHC-I in postnatal rat hippocampus. Madden, J. et al. (2009) Altered monocyte CD44 expression in peripheral arterial disease is corrected by fish oil supplementation. Nutr Metab Cardiovasc Dis. 19: 247-52. Liu Z et al. (2016) Partial protective immunity against toxoplasmosis in mice elicited by recombinant Toxoplasma gondii malate dehydrogenase.